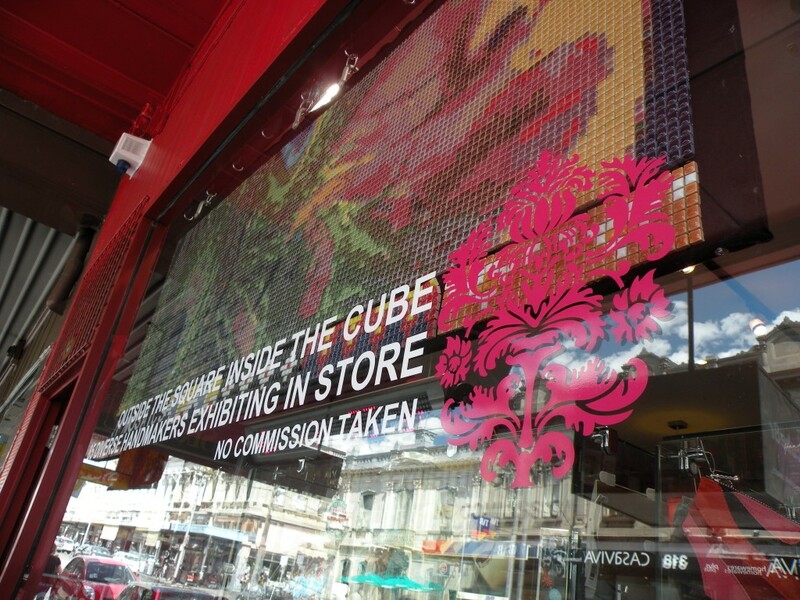 Isy shares about her Melbourne shop ‘in.cube8r’ with FK. Tell us a bit about the in.cube8r concept and what we can expect to find in your store. It would be more along the lines of what you won’t find! We currently have 84 artists, crafters, designers on board – pretty much covering the spectrum of all that can be handmade. – Belts made from bicycle tyres. – Whimsical clay brooches and earrings with handmade clay formed from PVA glue and talcum powder. – Cheese platters made from melted wine bottles. – Fruit bowl made from old vinyl LPs. What is your background and the story behind the inspiration of starting in.cube8r? Ever since I can remember I was complaining to my mother that school interfered with my ‘making things time’. I always have a craft project on the go. I went to Monash in 2000 to follow my love of fine art and completed an applied arts degree with a glass blowing major. I followed this with a Dip Ed in secondary arts teaching. In January ’07 another nanny contract ended and I was again unemployed… In the dole queue, I saw a flyer for NEIS, after signing up I went straight over to the NEIS office to sign up. They helped me put together a 50 page business plan through which I got taken seriously and received funding. On July 12, 2007 in.cube8r opened its doors to the public with its first 9 cube holders! What has the reaction been like to your store? Overwhelming, AMAZING!! The support from both the local community, the local customers and everyone really. The concept has been enthusiastically embraced. 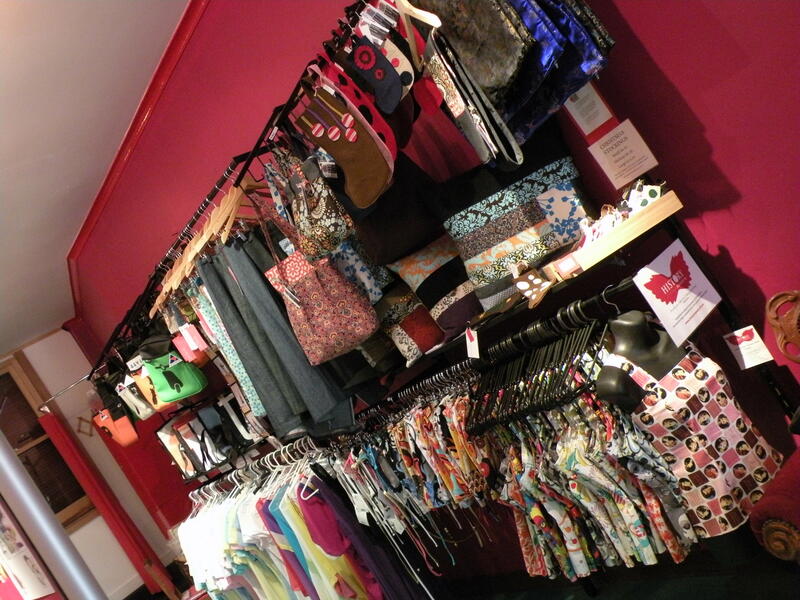 What is your favourite part of running the store? Listening to people’s feedback and watching artists get ‘discovered’ when talent scouts come in. What inspires you when searching for new designers & artists? We don’t ‘choose’ as we’re open to anything but we try to keep it as varied as possible. Currently we are cutting back a bit on jewellery to find a balance within the other arts/crafts. Why do you think giving designers opportunities to set up their own space is important? The main part of this dream was to create a space where artists didn’t have to pay any commission on their work and that the price would be of their choosing. Secondly, to give the artists power over their display and location of display. 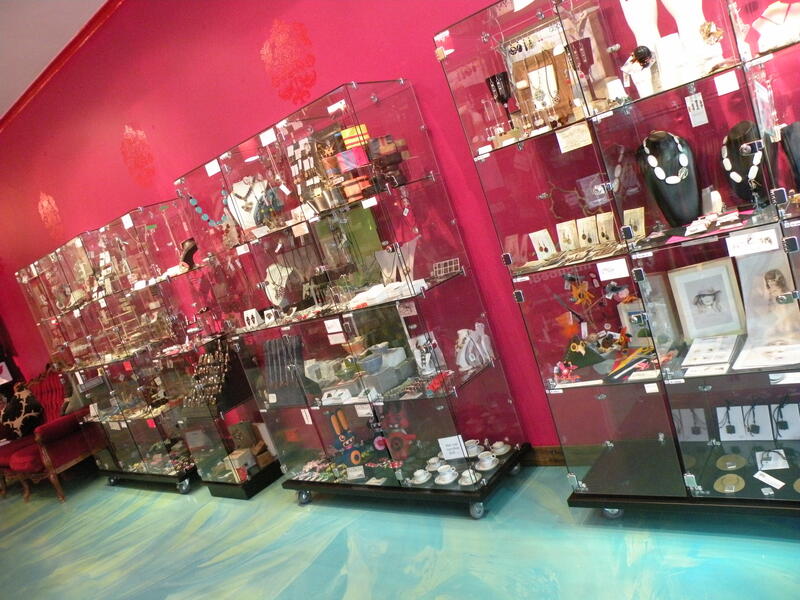 When you take your work into a shop or gallery, usually there is no say in how it is displayed or next to whom. Thirdly, to have an interactive space. Artists can come in, change their display, try new ideas/products and also be an active part of the gallery. Recently we had a lady spend the weekend spinning her wool on site and we’ve had a few people running workshops. I’m open to any suggestions. Lastly, I wanted a non elitist space. I wanted anyone who made anything to have the freedom to display their wares in a public space. Where would you like to see in.cube8r in the future, any more plans? We are throwing a few ideas around at the moment, they’re still under wraps. What do designers and artists need to be apart of in.cube8r? Make stuff!! We no longer take in straight beading, it has to have a ‘handmade’ appeal, which is what sells the best.